It was Kennedy's idea to walk the rocks this morning… oh, how I love this girl!!! Beautiful light and silhouette, happy Christmas to you and your family ! Stunning!! Fav!! Happy Christmas to you and yours!! gorgeous capture! love the colors and beautiful silhouette! So pretty with those colors!! Beautiful reflections and great silhouettes! looks spectacular viewed large on black ..fav!! You have spectacular scenery to work with....Kennedy has a great eye!! Beautiful colours and capture......fav! Merry Christmas! Just gorgeous light and cool silhouette! 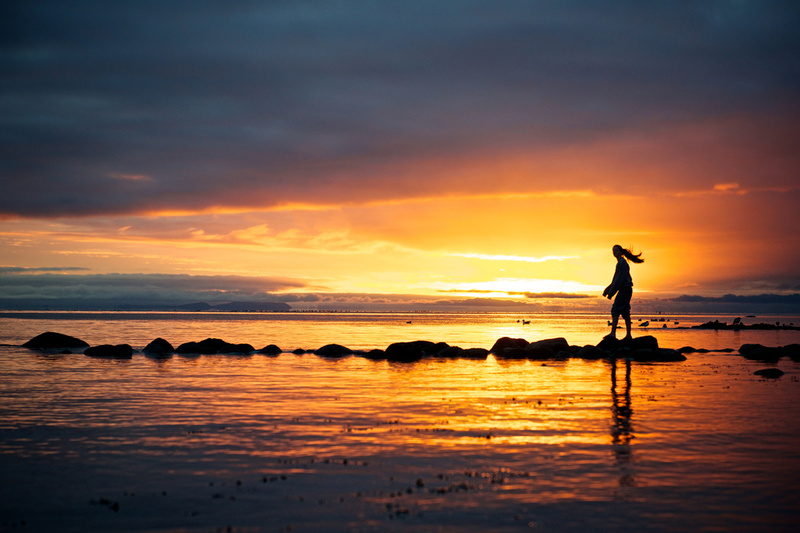 Instant fav, with her hair flowing behind her and the stunning silhouette against that amazing sky. Wow! Happy holidays! Lovely warm tones and such a crisp silhouette! Beautiful and a Fav. Merry Christmas. Wow, this is magnificent. Fav. Merry Christmas. I like Kennedy's stance in the other one better but I love the colours in this one better. Either way I love them both. Beautiful scene and the silhouette makes it even better!